Today we remember Eddie Mabo’s birthday, he would have been 80 years old. Eddie Mabo was born on the island of Mer in the Torres Strait, he was the key plaintiff seeking legal claim for ownership of lands on the island of Mer. This was the foundation of Native Title Claim. The high court decided in his favour and upheld the claim 10 years later in 1992. From this landmark decision, the Government passed Native Title legislation in 1993 and the National Native Title Tribunal was established under this. 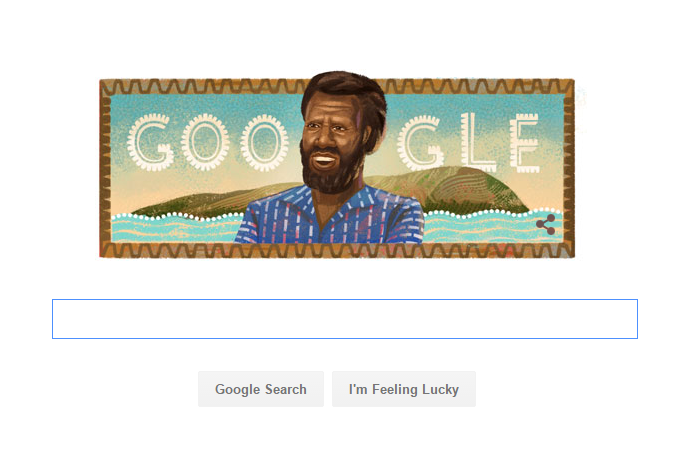 To commemorate Mr Mabo’s birthday, Google changed its front page to his likeness. You can see it here. 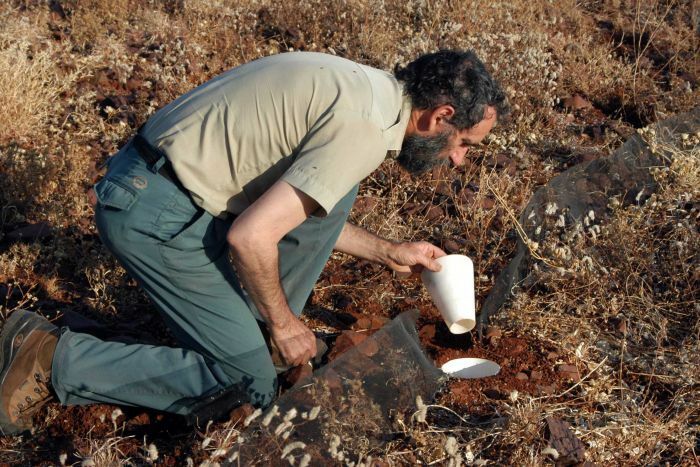 A world-class biodiversity project directed by the Department of Parks and Wildlife (DPaW) has collected and documented samples from 1000 different sites across the Pilbara. DPaW says the project would have been impossible without the contributions and support from Pilbara Traditional Owners. The samples were collected between 2002 and 2006, and after a decade of research and cataloguing, DPaW says the results represent the most comprehensive survey of the area ever done. The project results will be freely available and will inform future land use planning, help to evaluate the Pilbara’s natural parks and nature reserves, and to provide input into environmental impact assessments associated with resource development. You can read the full story here, and view DPaW’s website here. A new book published by CSIRO, The Botanic Garden, Parks Authority and BHP Billiton aims to be an essential tool for miners, pastoralists and conservation managers to rehabilitate their land. 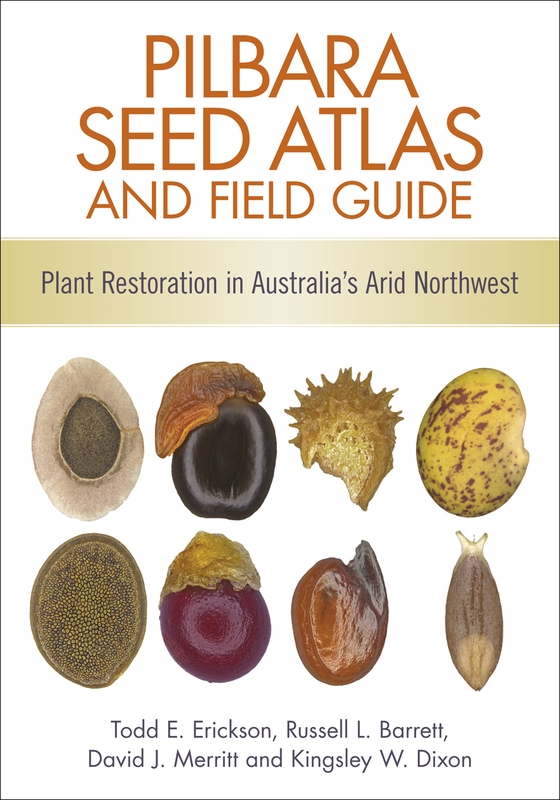 The Pilbara Seed Atlas and Field Guide is the product of eight years of research, and includes an identification guide for 100 common plant species and how to collect, clean, store and germinate their seeds. The book is part of a larger project called the Restoration Seedbank Initiative which involves the University of Western Australia. The initiative is investigating new technologies to help deliver better environmental outcomes in the Pilbara. You can learn more about the field guide at the CSIRO website here, or purchase it through Angus and Robertson for $65. The Wirnda Barna Aboriginal Art Centre will be travelling from Badimaya and Wadjarri Country in the upper Murchison region of Western Australia to Fremantle to host the “ Our Country” Art Exhibition. The exhibition will be held between 9 June and 22 June 2016 at the Kidogo Art House. The Wirnda Barna Aboriginal Art Centre is Australia’s newest not-for-profit Aboriginal art centre. Wirnda Barna supports and represents Aboriginal Artists across Yamatji Country. Wirnda Barna says its art centre offers a secure, creative and ethical environment where local artists can work together to share knowledge, connect with their language and generate income by selling their art. You can learn more about Wirnda Barna art centre and the exhibition at their website. Lani Balzan is the artist behind the winning submission of the 2016 NAIDOC poster. Songlines: The Living Narrative of our Nation is the theme for this year. 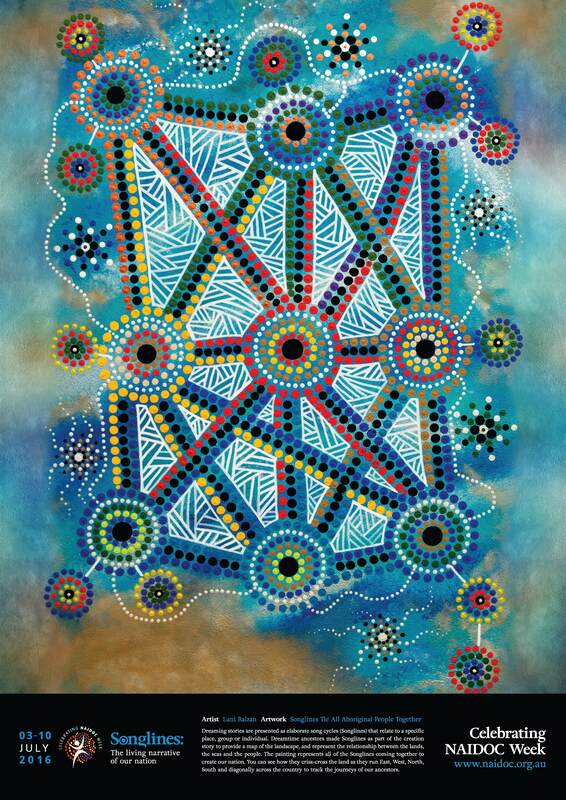 Ms Balzan is a Wiradjuri Aboriginal woman from New South Wales, and she has chosen to name her artwork ‘Songlines Tie All Aboriginal People Together’. She was awarded a $5000 cash prize. 100 entries were made to the competition, but NAIDOC organisers unanimously decided on Ms Balzan’s work. The poster will be distributed across the country to promote NAIDOC Week, which runs from 3-10 July. A digital copy of the poster can be downloaded here, and you can visit the official NAIDOC website for more information about this year’s theme.